Have you ever booked your Pocono Cabin & Vacation Rental via third-party booking website such as Airbnb, VRBO, HomeAway & Tripadvisor and later realized you overpaid? As far as Grand Leisure Travel is concerned we are fine with that – but we want to educate you why you SHOULD chose to book direct. Airbnb, VRBO, HomeAway & Tripadvisor provide a valuable service by delivering competitive information on many properties such as ours. But, for those who have stayed with us in the past, we always say that it’s important to book direct. Let’s explore some of the myths our new guests have with regard to booking direct. As an example, we will be referring to a simple $1,500 reservation below. Myth 1: Saving money outside Airbnb, HomeAway, VRBO and TripAdvisor is Not Possible. We know you hate booking fees. We do too, but when you book outside of our website it costs you much more money than necessary, in two ways. A Guest Fee is something that Airbnb, HomeAway, VRBO and TripAdvisor charge on top of our rates to make money for themselves. On average, Guest Fees can range from 5 - 15% and can amount to thousands, all because they “deliver our listings” to you. In our example, of a $1,500 reservation, you would be paying $75 - $225 on top of the $1,500. Now your reservation that was $1,500 is now costing you between $1,575 - $1,725! An Owner Fee is something that that owner pays to Airbnb, HomeAway, VRBO and TripAdvisor when you book through them. On average, an Owner Fee is between 3 - 5% and can amount to a few hundred, because that is what the owner/manager pays to Airbnb, HomeAway, VRBO and TripAdvisor to list our properties with them. Who pays that 3 – 5% you ask? Take a wild guess - YOU! We raise our rates to compensate for that too. In our example of a $1500 reservation, you would be paying $45 - $75 on top of the $1,500. Now your reservation that was $1,500 is now costing you between $1,620 ($1,575+$45) – $1,800 ($1,725 + $75). Conclusion: Save up to $300: book direct! Myth 2: You are Protected with Airbnb, HomeAway, VRBO and Tripadvisor. Let’s say you want to cancel a reservation you previously made. These portals still required to implement the policies Grand Leisure Travel tells them to. No way around that. After all, it’s our house, not Airbnb’s. So you aren’t really getting anything there. Quite the contrary, if something really does happen and you need to work with us to move or reschedule, it’s much easier to do that with the home owner than some representative from Airbnb from a different country, isn’t it? We are flexible with things; we’re human, so talking to us directly is always best! Direct communication with a property manager or owner is simply the best thing. Imagine you are stuck in a snow storm, you want your driveway plowed, but instead of getting the owner on the phone who knows the local snow plow guys, you are trying to explain this to a rep in Pakistan or Cambodia from Tripadvisor. Seriously, which would you prefer? Maintaining a relationship with the owner/manager means future discounts, helpful local advice, advice about the home you are renting, the surrounding and practically everything else. Eventually, the ball is in your court, as it is you who is going to decide which way to go Booking directly and saving money or going with Airbnb, HomeAway, VRBO and Tripadvisor and spending more and getting less for it. Let’s not forget, Airbnb, HomeAway, VRBO and Tripadvisor are just websites, they DO NOT own the home or the manager. Airbnb, HomeAway, VRBO and Tripadvisor provide a limited value by connecting NEW renters to owner/managers like Grand Leisure Travel. But once they do, that’s where the value ends. Airbnb, HomeAway, VRBO and Tripadvisor DO NOT care about your stay, they care about margins and web traffic. And while the owner might lose sleep if a potential renter is unhappy, they will not. 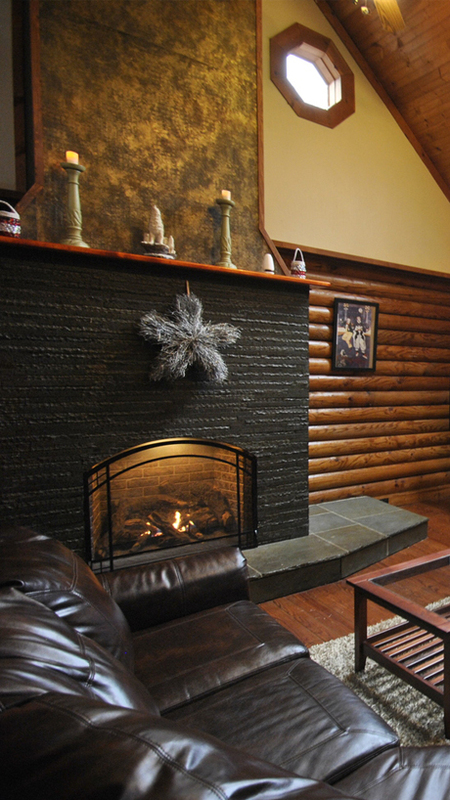 Stay with someone who cares about your Pocono Vacation and Book Direct! ... and really make your Pocono Experience...Grand!